By Guest Blogger, Katja Kaine If you’ve been in the writing (or even reading) business for long, you probably know that the age old adage ’don’t judge a book by its cover’ is simply not followed – by anybody. And with good reason – with so much choice out there, we have to make judgements based on something, and first impressions are critical. Hopefully you already understand the value of a professional and accurately representative book cover, but are you putting the same effort into your author website? If not, you could be stumbling at the starting blocks. Here are five areas to assess your author website from, with some tips on how to fix things. I’ve been making websites for over ten years, and if there’s one thing that consistently comes up as what people are looking for in a website no matter what the topic, it’s clean, simple design. If your website has flashing, moving and sliding things going on, it obstructs people from reading the actual content and they will soon click away in frustration. Also, if it’s got too much information on each page, all vying for attention, then people will soon get a headache. Rather than trying to push everything on your visitors at once, you need to think about ‘user journeys’ – that means guiding your visitors through your most important content first with teasers so they continue on to read more. You can manage their experience by use of size, fonts, placement and colours. I know you want them to read your book, but nobody likes being sold to. Instead, think about what you can offer your readers – snippets of your writing to whet their appetite or useful information that they might want to read and share. Sure, you need to make sure it’s clear that you are selling your writing (if you are), and make sure it’s easy for people to buy and download or order, but don’t push them away by being too pushy. If your bio photo is blurry, badly lit and generally looks like it was taken on an old mobile phone, then it’s going to give the impression that you are an amateur. Perhaps it’s unfair that people will judge your writing on your photography skills, but unfortunately that’s the way our minds work. Collar a friend who’s into amateur photography and has a decent quality camera, or splash out on a professional photographer for some headshots. It might cost less than you think and good quality profile pictures will lift your online presence exponentially. The fact is that these days more people access the Internet via a mobile phone than a desktop computer, and if your website is difficult to read or use on a mobile, you could be cutting out a large portion of your audience. If you’re using a blogging or other out of the box platform for your website, make sure your template is mobile friendly and update it if it isn’t. If you pay a professional web designer, then let them know that mobile responsive is a must. I can almost feel you drifting off already. But fear not! Stay with me – I promise it’ll be worth it and there won’t be any jargon. You can have the most beautiful, elegant, enticing website in the world, but if nobody can find it, it won’t be doing you the least bit of good. The good news is that you don’t have to learn about HTML and alt tags and all that jazz. All you need to focus on is making sure your website has lots of good quality content, and that the right keywords naturally occur. For example, where appropriate, you might want to write ‘I write paranormal romance novels’ rather than ‘I write novels’. That will ensure that your website is listed for the most appropriate terms. This Internet age is all about interaction. People may come to your website and want to converse with you, find out more about what you do and comment on your writing. Hopefully, it will all be to tell you how wonderful your writing is and how moved they are by your latest book – but then again, constructive criticism will probably be far more valuable. In any case, you should make it possible for people to contact you, rather than hiding in an ivory tower. At the very least you can do this by offering an email address or form, but you may also want to enable commenting if you have a blog kind of website. An extra bonus of this is that other people may add content to your site – keeping it fresh and updated! Though of course you need to monitor it to make sure nothing untoward goes on there. Sometimes we might feel that we have quite a personal relationship with our readers, but it’s important to stay professional at all times. So keep your bio relevant, as well as any other content you might put up there. Don’t start talking about your favourite movies, the cutesie games you play with your cats or your marital problems – unless any of these things are relevant to your writing or author persona. There’s an advantage to staying behind the curtain a little, and keeping some air of mystery. It will be harder for your readers to let themselves go entirely into the world you created when they intimately know the human behind the words, including what they had for breakfast. Hopefully that’s been some help in guiding you towards a professional author website presence that will boost your online presence and help widen your readership. Katja Kaine is the creator of The Novel Factory – easy to use novel writing software that includes an optional step by step guide for new writers. 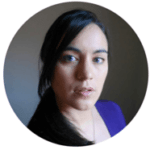 She has been a professional web designer for over ten years and has had short pieces published in print and online. Connect with Katja on Novel Software and her website Katja L Kaine.